MAP has multiple regional warehouses in the US & Mexico. Michigan Arc Products (MAP) established in 1970. Focus on automotive, light & heavy industrial manufacturing, military, Construction / Agriculture, wind power, shipbuilding. 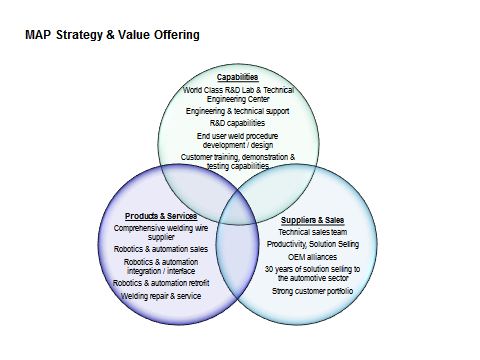 Robotics & Automation sales, Integration & retrofit. welding equipment retrofit, repair, weld wire consumables. Not sure which type of wire will work best for your application? Considering purchasing new equipment or upgrading existing equipment? Not sure how to weld the part?